Jake loves dip. Or, as he says it “deeeep!” Anything that can be dipped is a hit – and that extends to spreads, too. It’s common now to get halfway through a meal and then have him start asking for dip. I’ve been keeping things like hummus in the house so we have some healthy options to dip – but sometimes you just need something fun. It pairs well with crackers and we loved it with cucumbers, too. And it really couldn’t be easier. 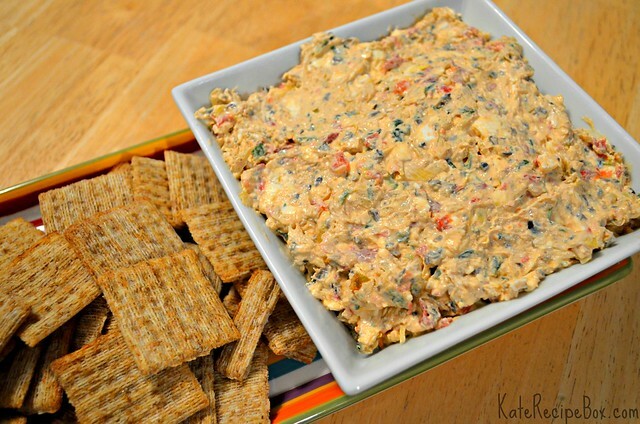 This is an awesome option for summer potlucks! Add everything to a food processor and pulse until combined. Refrigerate until ready to serve.